Wake BI Blog: #Summit15 Date and Time Script Updates! #Summit15 Date and Time Script Updates! 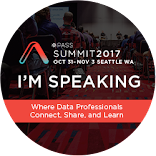 Finally getting caught up after a very quick but fun week with lots of networking and learning and #SQLFamily at PASS Summit 2015 in Seattle. This year's Summit was the first time that I got to present a full 75 minute presentation, so I was a bit stressed about that all week since my session was not until 9:30am on the Friday of the conference. 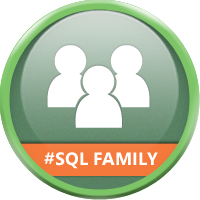 The thing that was very reassuring is that I was doing my Date/Time Dimension talk that I have done many times over the last few years at SQLSaturdays & User Groups across the country. I also got to do another Lightning Talk for the 3rd year in a row at a PASS Summit (wonder if that is some kind of record). The Lightning Talks for those that have not seen or done them can be more nerve racking than the 75 minutes sessions since they are only 10 minutes. When you are used to presenting for 60-75 minutes, 10 minutes or less is very difficult, unless you narrow the topic way down. For this year's Lightning Talk I decided to focus on Power BI, my new favorite tool in the Microsoft BI stack. And to get that focus down it was on creating dashboards really quickly using Power BI. This was not the first time that I had demo'd Power BI, but it was the first in a big venue with questionable internet access. And I did have a small issue with getting the Google Analytics Content Pack to actually refresh once I got it all setup, but I was able to move on and get the 2nd part of the demo working. With Friday's 75 minute session early in the morning I didn't have much hope of filling the room, plus it was across the street from the main convention center in one of the overflow rooms. I had around 25 people in the session and most of them were very engaged, which was awesome. It is always better to present to a smaller audience that really wants to see your session over a room full of people that are just there because it was close or they didn't want to leave from the previous session. I didn't have any major technical issues and I was able to get through the whole presentation with a few minutes to spare and lots of questions answered throughout (I even remembered to repeat the questions for the recording). In the week after I received a couple of emails from those that attended my session with some questions about the scripts that I provided to build the Date and Time Dimensions as I covered in the session. And we found that there were some errors in both scripts, which I have posted the fixed versions in a link below. This feedback is awesome and I love to know that people are trying to use the scripts and sharing these issues so that I can make the scripts better for everyone else that comes to this session later. Please feel free to reach out to me if you see any other issues or have questions about these scripts. Thanks to everyone that attended my sessions and hope that you got something out of them that you can use in your work! 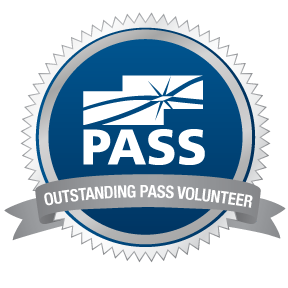 See you again next year at PASS Summit 2016!